A federal court may shut down a Southeast natural gas pipeline in a stunning rebuke of government regulators who approved the project. The U.S. Court of Appeals for the District of Columbia Circuit yesterday refused to revisit its 2017 ruling that the Federal Energy Regulatory Commission should have taken a closer look at climate impacts from the Sabal Trail pipeline. As soon as the court issues a formal mandate finalizing the decision, Sabal Trail's federal certificates will be void, and operations will come to a halt. The D.C. Circuit is expected to issue the mandate next week. It's unclear, however, what FERC and pipeline backers could do to attempt to stall the process, and it's possible any interruption in pipeline operations would be short-lived. Still, the court's decision is the strongest legal rebuke of FERC's oversight since the rush to build out natural gas pipelines began several years ago. The case centers on a Sierra Club lawsuit that alleged, among other things, that regulators failed to study greenhouse gas emissions from the burning of natural gas delivered by Sabal Trail and the broader Southeast Market Pipelines Project, which cuts across Alabama, Georgia and Florida. The D.C. Circuit sided with the environmental group in an August 2017 decision that ordered FERC to analyze the issue. In the meantime, the ruling said, underlying project permits would be vacated (Energywire, Aug. 23, 2017). Government lawyers last fall asked the court to rethink one aspect of the decision: the remedy. 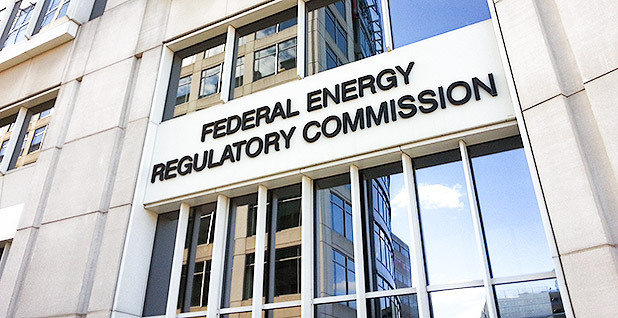 FERC was willing to conduct the added review but wanted the court to leave the pipeline certificate intact during the process. Sabal Trail backers also asked for rehearing. In a pair of decisions yesterday, a two-judge panel rejected the requests, and the full slate of active judges on the court refused to get involved. The court did not issue opinions explaining the orders. D.C. Circuit mandates, which give force to rulings, typically are issued seven days after the court handles rehearing requests. That means Sabal Trail's certificates could be void next week, barring successful legal maneuvering by FERC or developers. Sabal Trail's fate is up in the air as government and industry lawyers figure out their next steps. The quickest possible solution is for FERC to complete the supplemental review ordered by the D.C. Circuit last year. The agency drafted a five-page supplemental environmental impact statement in September and fielded comments for two months (Energywire, Nov. 22, 2017). But it's unclear how close FERC is to completing the review. "FERC staff's Final Supplemental EIS for Sabal Trail and the Commission's order on remand are pending final decisions," commission spokeswoman Tamara Young-Allen said yesterday. ClearView Energy Partners analyst Christi Tezak noted that even if FERC completes the SEIS today, Council on Environmental Quality regulations may require it to wait 30 days before issuing fresh certificates for Sabal Trail. "We therefore expect that it is possible that the project could need to temporarily wind down construction operations until new certificates can be issued ... as well as new notices to proceed," she wrote in a memo last night. Tezak called the D.C. Circuit's decision to scrap the permits unprecedented and noted that "the exact procedural road ahead for the Commission looks unclear." The agency or developers could also fight back in court. A new request for the D.C. Circuit to hold off on issuing the mandate would likely face long odds, as the court has already rejected their arguments on the issue. They could also take their case to the Supreme Court. A petition for the high court to step in would likely buy the agency and the pipeline some time. Environmentalists are likely to oppose any such effort. "When FERC violates the National Environmental Policy Act by not fully considering the harmful impacts of a pipeline, that pipeline should not be allowed to stay in operation," Sierra Club attorney Elly Benson told E&E News. Representatives for Sabal Trail backer Spectra Energy Partners, which recently merged with pipeline behemoth Enbridge Inc., declined to comment on the development last night. And FERC's Young-Allen declined to answer questions about whether the commission and the developers have consulted yet on the issue. The battle over the Sabal Trail pipeline represents a pivotal moment in the evolution of pipeline opposition and broader climate accountability. Though FERC had already enhanced its climate review for most pipelines approved after Sabal Trail, the court's decision crystallized the agency's legal obligations for the future (Greenwire, Nov. 21, 2017). The decision is also the strongest D.C. Circuit ruling to date requiring the federal government to pay closer attention to greenhouse gas emissions stemming from its actions. A few cases in other jurisdictions have also recently cemented the government's obligation (Energywire, Sept. 18, 2017). Jayni Hein, policy director at New York University School of Law's Institute for Policy Integrity, said the Sabal Trail decision is a reminder to agencies and developers of the importance of in-depth review the first time around. "In general, this decision is good news for environmentalists, and illustrates the risks of trying to cut corners in NEPA reviews," she said, "as doing so can subject projects to even longer delays through litigation and court-ordered remedies, including correcting deficient environmental impact statements before proceeding." Parts of the Southeast pipeline project are already in service; other sections are still under construction.